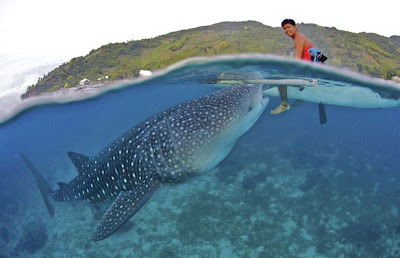 Whale shark close to sitting in a boat fisherman, who feeds her from the hands of saltwater shrimp in shallow waters off the coast of Oslob, Philippines. Local fishermen are willing to show the audience admired the amazing process of feeding the giant fish longer than 7.5 meters. 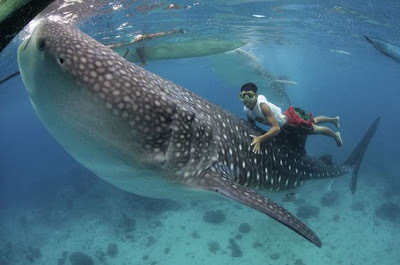 Some of the whale sharks, which are the largest fish in the world, literally eating the fishermen out of hand. A surprising interaction between humans and sharks captured in his photographs photographer Shawn Heinrichs. 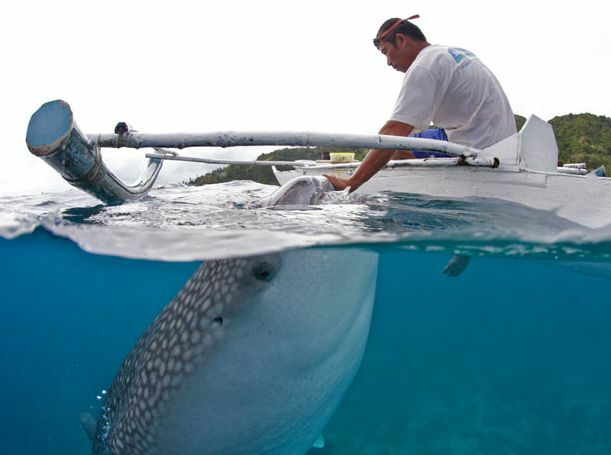 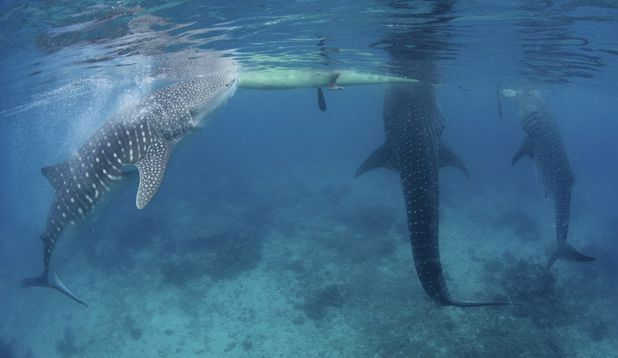 Local fishermen consider whale shark as a kind of a good deity patronizing them and bringing a good catch. 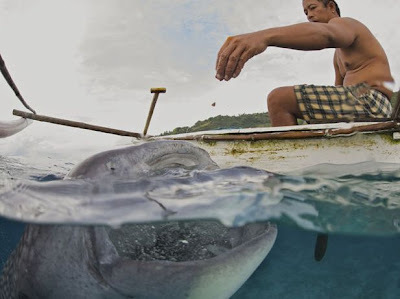 That did not stop enterprising locals demand from Shawn and a half dollars for every shot they made​​, which was captured sharks feeding process.